Nosebleeds are a common occurrence, especially during the dry, cold-weather months. 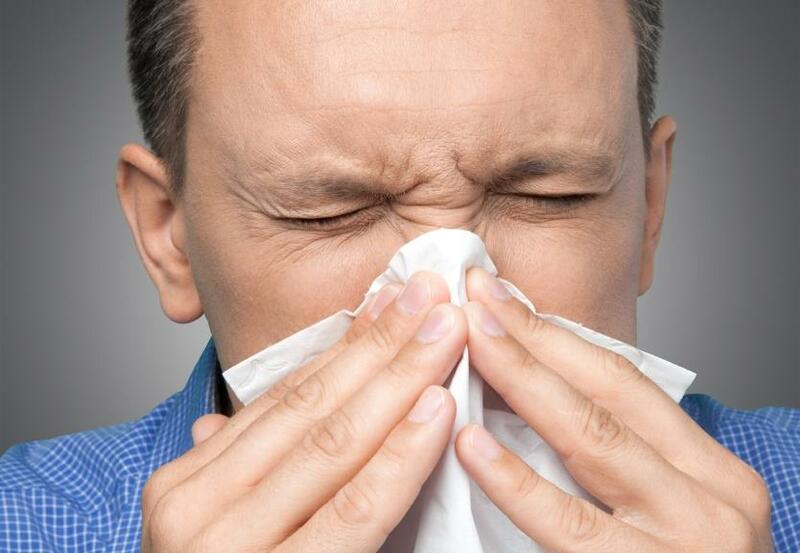 It only takes a small irritation or a case of the common cold to trigger a nosebleed. If you find you are having frequent nosebleeds, you will benefit from learning more about these sudden, annoying episodes and how to prevent one from occurring. Did you know that when you have bleeding from the nose, it is most likely affecting only one nostril? The nose will bleed when the tissue that lines the inner nasal passage seeps blood due to trauma or irritation. Medically referred to as epistaxis, bleeding from the nose usually happens at the forefront of the nasal septum, the tissue between the two nostrils. Few cases originate from higher up on the septum. These, and others that lie deep within the nose, may be difficult to stop. As noted, a nosebleed episode happens when blood vessels in the membranes of the nasal lining experience injury or trauma. These tissues lie close to the skin’s surface. We will look at what causes nosebleeds to get a better sense of how to treat them. When the surrounding air is dry, it can cause the membranes to lose moisture and become dry and cracked. Bleeding can occur as well as infections, which also can prompt blood to escape from the blood vessels. Picking your nose may damage the tissues of the nasal lining and cause bleeding. This action is one of the most common nosebleed causes, aside from dry air. Nose bleeding is commonly seen in young babies as they discover their noses, and in young children who may feel an itch or crusty particles while exploring. Nosebleeds are often seen in both the elderly and pregnant women due to natural thinning of the membranes. There are steps you can take to help stop the bleeding immediately. You can also follow several home remedies for nose bleeds. After any nosebleed, it is recommended to rest for a few hours, and to avoid physical exertion for at least 24 hours. If you find that you are having nosebleeds on a weekly basis, you may want to seek medical attention as it may be caused by a serious underlying health condition. In most cases, pinching the nose is the best advice for how to stop a nosebleed, as it applies forced pressure at the source of the septum. Sit, or stand up straight, and tilt the head forward. Pinch the soft spot of the nose, just at the base of the bone, with your thumb and index finger. Hold for five to 10 minutes all while breathing through your mouth. Release and remain seated (or standing) for five minutes. Repeat this process until the bleeding stops. During this time, do not lie down, tilt your head backward, or blow your nose. If you taste any blood in your mouth, spit it out and do not swallow. This can cause the blood to irritate your stomach. One of the best home remedies for nose bleeding may be the use of a cold compress. This could immediately slow down the flow of blood as exposure to cold temperatures causes the blood vessels to constrict to preserve body heat. Place several ice cubes in a thin towel or cloth. Sit or stand with back straight and tilt the head back slightly. Put the compress on the bridge of the nose for five to 10 minutes. Repeat until bleeding stops, which should occur within 10 to 20 minutes. The following natural health tonic and herbs may also help halt bleeding from the nose. Many use apple cider vinegar to stop the bleeding, as the acetic acid component works as an antihypertensive agent to lower high blood pressure, which can cause nosebleeds. More research on humans needs to be conducted as these effects have only been proven in rats, as in a study published in the European Journal of Nutrition. Place a cotton ball in apple cider vinegar before putting inside the nostril. Do not force through the nasal passage. Leave for 10 minutes before removing. Cayenne is commonly used to control blood flow pressure by triggering blood cells to coagulate. It has an active component known as capsaicin, which is currently being investigated to treat circulatory issues. This is why it may help stop your nosebleed. Cayenne has been used since ancient times to treat pain as well as stomach issues. Add one teaspoon of cayenne powder to one cup of warm water and mix well. Drink this solution for quick relief of a nosebleed. The onion has active properties of allicin, an antimicrobial agent, to help promote blood clotting. The onion’s sulfur content may work to thicken blood. The quercetin in the onion offers antioxidant and anti-inflammatory properties, although more research on these matters is needed. Slice one small- or medium-sized onion, place a slice directly under the nostrils, and inhale the aroma. The fumes may stop the bleeding quickly. You could also apply two to three drops of fresh onion juice at the opening of each nostril. Repeat until bleeding stops. Nettle leaves have astringent components that may trigger blood clotting and stop blood flow by constricting blood tissues. It is one of the most popular remedies for how to get rid of a nose bleed due to allergies. Nettle use might also strengthen the blood vessels within the nasal passage. Inhale dry powdered nettle leaves. That’s it—a very quick and easy potential remedy. You may also want to place a few drops of fresh juice of nettle leaves in the opening of each nostril. Coriander has been used for years as a natural nosebleed treatment. It is said to give a cooling effect that soothes the nose lining, and it may also work as a natural antihistamine if allergies are the origin of the nosebleed. That said, coriander may cause irritation at the skin surface in some people as an allergic reaction. In addition, it may cause sensitivity to sunlight. Apply a few drops of fresh coriander juice or coriander essential oil to the inner lining of the nose. You could also use fresh coriander leaves and mix it with enough water to create a paste. Apply this paste directly on the forehead to promote the stoppage of blood flow. Holy basil is often used to calm troubled nerves. It is thought to reduce the body’s sensitivity to stress on a cellular level. This could promote an adaptogenic effect to stop the nose bleed. Munch on fresh basil leaves. You may want to use two drops of the juice of fresh holy basil leaves to place in the nostrils. Emergency assistance may also be necessary if you suffer from a blood-clotting disorder such as hemophilia, or are taking blood-thinning drugs like warfarin. Nose bleeds can occur at any time to anyone. With that said, there may be steps to take—and conditions to avoid—to reduce the frequency of occurrence. Try these everyday tips for how to prevent nosebleeds. Twice daily in dry air conditions, such as the winter months, drink a saline solution of one-half cup of water and a pinch of salt. Drink a tea made with fresh nettle leaves twice a day, if living in dry air environments. If you find that the inner lining of your nose easily dries out, place an ice compress to the nose regularly. Drink a solution of two teaspoons of apple cider vinegar and warm water three times daily. Maintain moisture within the nasal passages by gently wiping the inner lining with a cotton swab dipped in petroleum jelly several times each day and at bedtime. Add cayenne pepper to your favorite dishes regularly. Wear nose guards or face protection during contact sports. Use humidifiers when your living quarters are extremely dry, especially your bedroom. Avoid picking your nose with your fingers. Use a tissue to gently remove crusty particles. Always gently blow your nose. Avoid smoking and being around second-hand smoke, as it can dry the nasal passages. Limit your use of prescribed and over-the-counter cold and allergy medications. Nosebleeds are common, and while they may not pose a serious threat, they can be alarming when they occur unexpectedly. The delicate inner lining of the nasal passages can become irritated or damaged by environmental pollutants, extremely dry air, or trauma to the face or head. Some medications and underlying health conditions can trigger a nosebleed. Frequent nosebleeds or loss of excess blood could be an indicator of unknown and hidden damage, and may require medical attention. There are a number of natural home remedies and preventative measures you can take to stop and avoid nosebleeds. “Nosebleed,” University of Maryland Medical Center; http://www.umm.edu/health/medical/ency/articles/nosebleed, last accessed August 11, 2017. “Nosebleeds,” Mayo Clinic; http://www.mayoclinic.org/symptoms/nosebleeds/basics/when-to-see-doctor/sym-20050914, last accessed August 11, 2017. “Nosebleed,” NHS; https://beta.nhs.uk/conditions/nosebleed/, last accessed August 11, 2017. Brown, J.,PhD, “Nosebleed for No Reason? Here are Some Possible Causes”, Everyday Health; https://www.everydayhealth.com/heart-health/nose-bleed-for-no-reason-here-are-possible-causes-3856.aspx, last accessed August 11, 2017. Cunha, J.,DO, FACOEP, “Nosebleed (Epistaxis, Nose Bleed, Bloody Nose,” Medicine Net; http://www.medicinenet.com/nosebleed/article.htm#how_do_you_prevent_the_nose_from_bleeding_again, last accessed August 11, 2017. “Home Remedies For Nosebleeds,” Top 10 Home Remedies; http://www.top10homeremedies.com/home-remedies/home-remedies-nosebleeds.html, last accessed August 11, 2017. “Nosebleeds – Home Treatment,” Web MD; http://www.webmd.com/first-aid/tc/nosebleeds-home-treatment, last accessed August 11, 2017. Malone, S., “Nosebleed and Cold,” Home Remedies for You; http://www.home-remedies-for-you.com/articles/2437/general-health-and-fitness/nosebleed-and-cold.html, last accessed August 11, 2017. “How Can I Stop A Nosebleed?” Web MD; http://www.webmd.com/first-aid/nosebleeds-causes-and-treatments, last accessed August 11, 2017. “Out in the cold,” Harvard Health Publications; https://www.health.harvard.edu/staying-healthy/out-in-the-cold, last accessed August 11, 2017. Na, L., et al., “Vinegar decrease blood pressure by down-regulating AT1R expression via the AMPK/PGC-1a/OOARy pathway in spontaneously hypertensive rats,” European Journal of Nutrition, April 2016; https://doi.org/10.1007/s00394-015-0937-7, last accessed August 11, 2017. “Cayenne,” University of Maryland Medical Center; http://www.umm.edu/health/medical/altmed/herb/cayenne, last accessed August 11, 2017. “Quercetin,” Web MD; http://www.webmd.com/vitamins-supplements/ingredientmono-294-quercetin.aspx?activeingredientid=294&, last accessed August 11, 2017. “Coriander,” Web MD; http://www.webmd.com/vitamins-supplements/ingredientmono-117-coriander.aspx?activeingredientid=117, last accessed August 11, 2017. “Holy Basil” Web MD; http://www.webmd.com/vitamins-supplements/ingredientmono-1101-holy%20basil.aspx?activeingredientid=1101, last accessed August 11, 2017.